In recent years Hikvision has erupted into the leading CCTV manufacturer it is today. Working closely with their UK supply team, NASIC have forged strong alliances with the global giant and now hold over 39 Hikvision Platinum Partners within the group. Hikvisions' innovation and cost-effective surveillance products are second-to-none, so we're proud to stand beside them in years to come. Hikvision honours our partnership with great discounts across their range of cutting-edge CCTV systems - these savings ultimately are passed on to our customers, allowing you to get much more out of your budget. By choosing a Hikvision Platinum Partner you receive priority support. Working closely with Hikvision, your chosen installer has the tools and knowledge to help ensure your CCTV systems see little downtime across their lifetime. 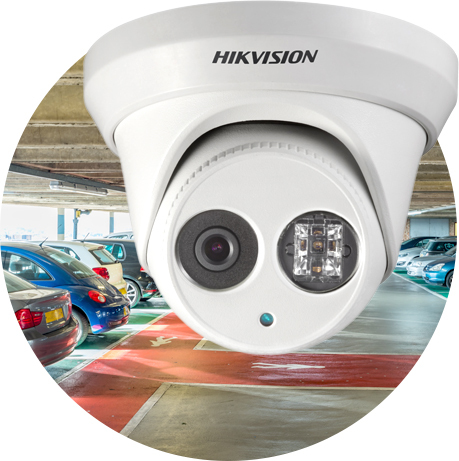 Working closely with Hikvision, we have access to the latest CCTV updates and equipment as and when it appears on the market. We keep our ear close to the ground to ensure your CCTV surveillance is at the top of it's game - always up-to-date with the latest updates. The end goal for Hikvisions' Platinum Partner scheme is to build solid, sustainable relationships between manufacturer and installer. As Platinum Partners, our sales, service and installation team are trained by Hikvision themselves to ensure we are up-to-date with the latest equipment. This allows us to provide an unrivalled level of support and customer care. Thanks to Hikvision, you could benefit from up to 2 years extended warranty by choosing a Platinum Partner when purchasing your CCTV surveillance. Our group members understand that reliability and support is key to a successful security system - with extended warranty we can also protect your investment. a member simply search below. Quality, local service run by highly motivated independent businessmen on a national level. No national company can match our national coverage, with over 30 members across the entire UK. Our size means that we can compete with the largest companies on a equal footing.